I miss the simple grandeur of title cards. In 1961 Disney released 101 Dalmatians , creating yet another beloved classic. What does the animated tale of the world’s largest litter of puppies have to do with a gothic romantic comedy from 17 years earlier? The answer is simple on the surface, but the further I dug into it the more convinced I became that it would end in tears and Kevin Bacon. I forced myself to stop pursuing connections before I went looking for a power drill to open my mind. I will share just a bit of what I found, but be warned that you should probably avoid power tools for a while. 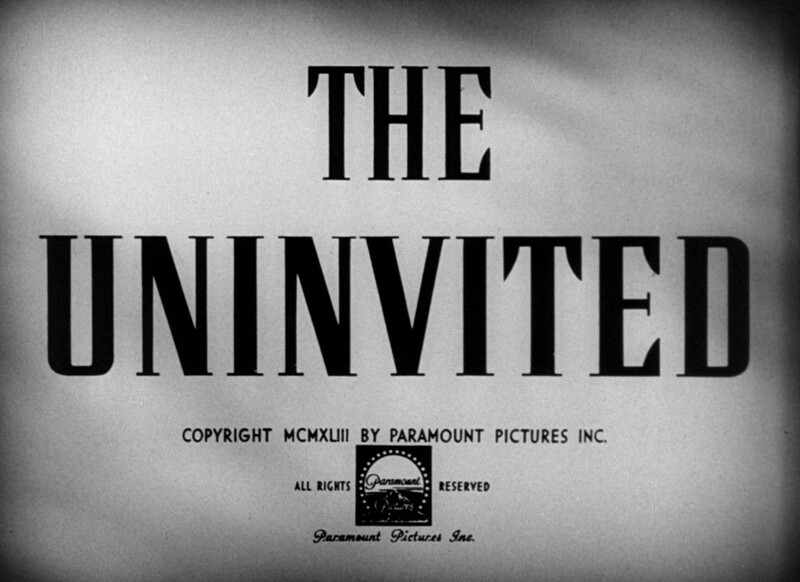 First I should tell you something about The Uninvited . Ray Milland was still under contract to Paramount, and that meant that he was still largely doing romantic comedies. Fortunately they’d started to get some drama and action mixed in with the format to try to keep the genre alive. 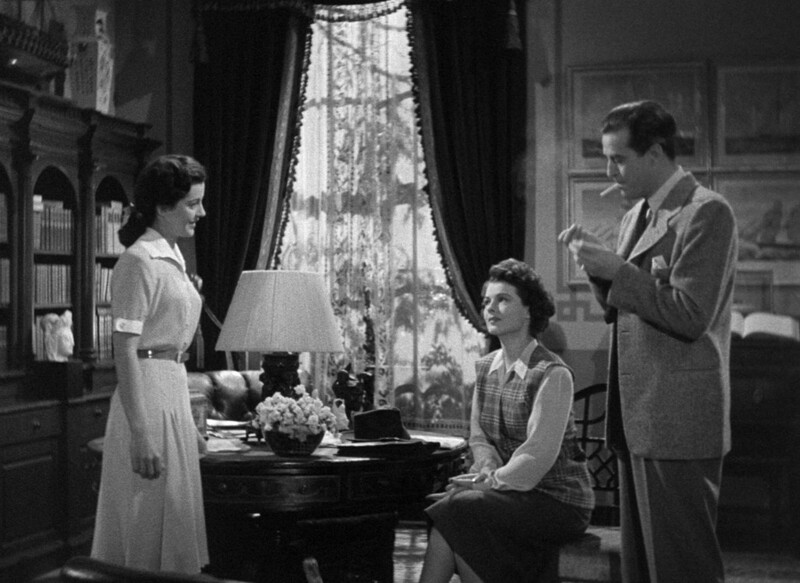 In this case, the story revolves around a tragic family secret that makes the cliffside estate of Windward a fatal inheritance for heroine Stella Meredith (Gail Russell). Into this grim setting traipse Roderick and Pamela Fitzgerald (Ray Milland and Ruth Hussey), carefree siblings on vacation from London who purchase Windward essentially on a whim. The clash of spirits against ghosts involves a kidnapping, family secrets, and the scent of mimosa. A ghostly apparition appears in Windward. There aren’t a lot of special effects, as the story is more about mood than scares. 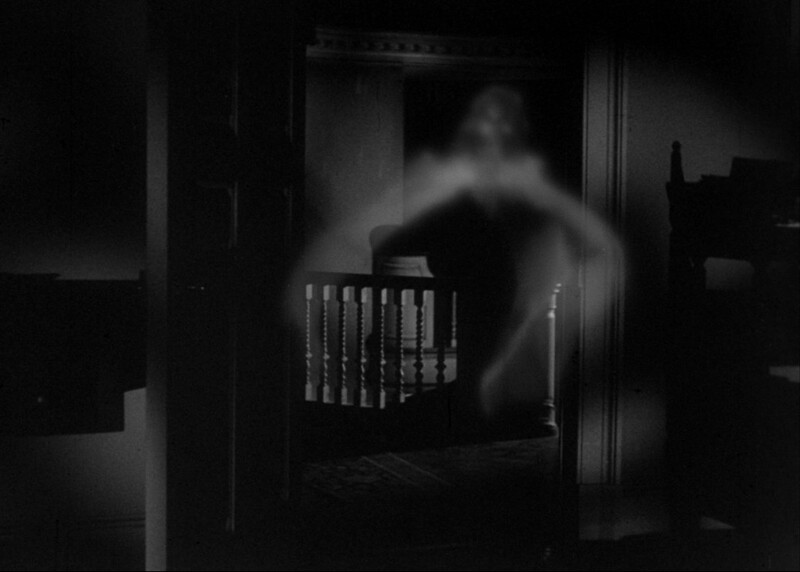 The recurring image of the fluttering ghost is nicely executed, and there’s one shot of flowers wilting. Other than that it’s all acting, staging, and score. The film excels at these. The rapport between the Fitzgerald siblings feels easy and natural, as do the A and B plot romances. There are some character types that are sadly typical for the time — the folksy, superstitious housekeeper, the hostile patriarch, and the capital-C Crazy) — yet even these are relatively subdued, allowing the narrative to proceed with nary an interruption. The Fitzgeralds meet Stella Meredith. Special mention should be made of Miss Holloway (Cornelia Otis Skinner), the head of the Mary Meredith Retreat. The institute is a sanitarium in the old sense, a place to seek peace and recover one’s self. Essentially a resort asylum. Holloway was a great admirer of the late Mrs. Meredith, so great that she is coded as lesbian. After the Hayes Code imposed restrictions on film content, it became impossible to include homosexuals in movies without having them punished for their “sin”. One way around this was to hint at the characters’ sexuality through indirect means. 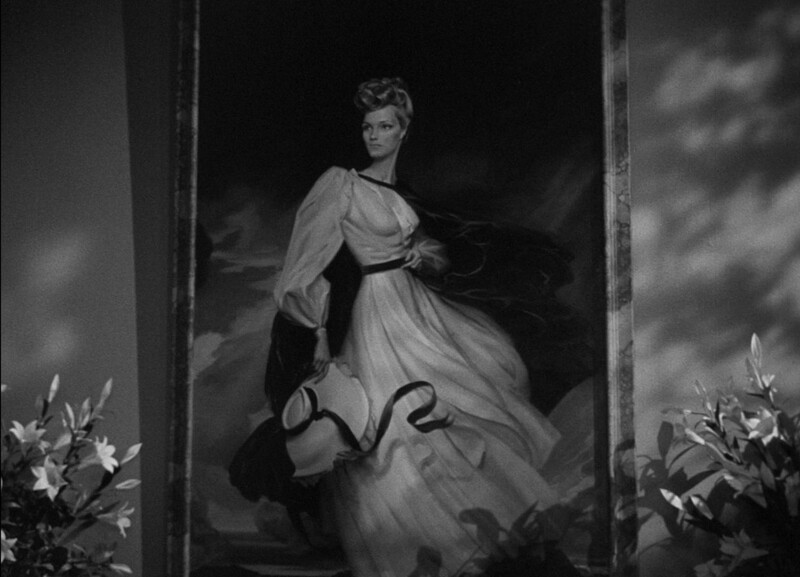 An unmarried woman, not chasing men, who practically venerates another woman, naming a business after her and hanging her portrait in her office — in 1944 a lot of the audience would know exactly what that implied. Of course Holloway is the closest thing to a (living) villain in the piece, but even at that she’s treated fairly well as the friend of Mary Meredith who’s perhaps too loyal. Miss Holloway’s portrait of Mary Meredith. I am an enormous fan of Ray Milland, so I’d be remiss if I didn’t comment on his performance as Roderick “Rick” Fitzgerald. This is only a year before his Oscar-winning turn as a writer struggling with alcoholism in The Lost Weekend . He’s at his peak charm here, which means that he sometimes comes off condescending but not annoyed. His rapport with Hussey is marvelous, and they play off each other so well I wish they’d been in more together. The central relationship between Rick and Stella almost works, but there aren’t many opportunities for them to actually romance. They’re separated for much of the runtime, and for the remainder she’s usually either being compelled to hurl herself from a cliff or recovering from the same. Milland is persuasive in Fitzgerald’s switch from his curt dismissal of the supernatural to his resolve to defeat the ghost. There’s usually a hint of arrogance in his performances, which make his cheerier roles uncomfortable. I don’t think it’s either intentional or a part of his personality, rather a side-effect of the attention he pays to his diction. It serves him as Fitzgerald by blending with the character’s jocularity to become the confidence to make Windward a home, no matter the obstacle. 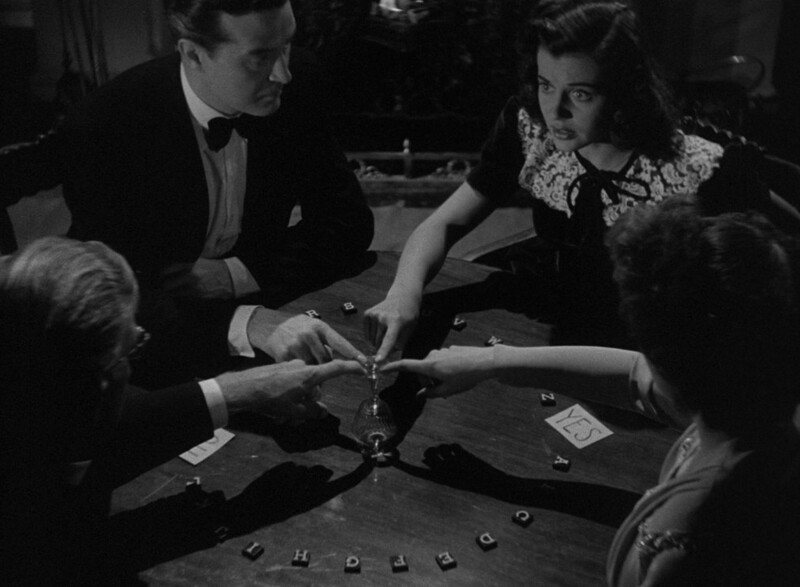 A seance is held to determine who haunts Windward.